Pocket Sized Robot You Can Code! 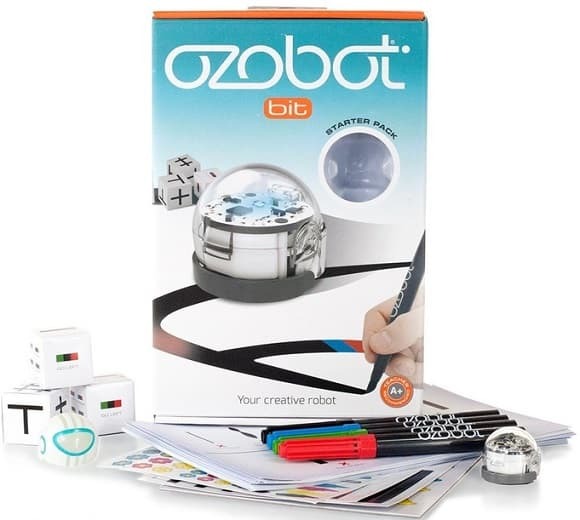 With the Bit Coding Robot by Ozobot, you’ll start coding with the stroke of a marker. Draw lines and Color Codes, and Bit follows each colorful command. Discover over 20 Color Codes as you complete your Bit Activity Pack. Then, advance with the OzoBlockly code editor on a computer or tablet. Drag and drop blocks to create programs for Bit, then load your code just by holding Bit up to your screen!